Oz Trampolines believes in giving back to those in need and we are dedicated to bringing the joy of trampolining to children all across the world. Some of the amazing organisations we have collaborated with to help bring the joy of jumping to children can be found below. 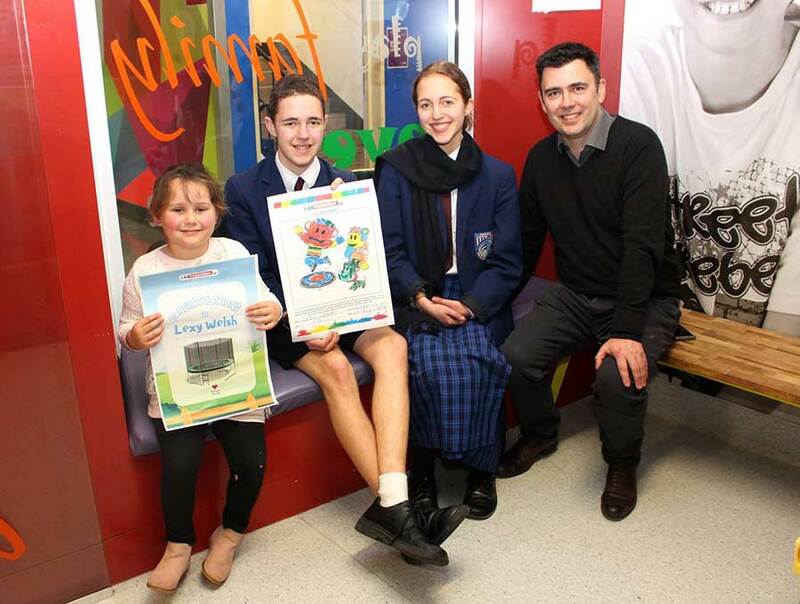 As part of a local initiative Oz Trampolines teamed together with Barwon Health to bring joy to children who had recently spent time in the Cotton On Foundation Children’s Ward at University Hospital Geelong. Oz Trampolines donated 25 trampolines to the Children’s Ward with the hope to bring a smile to these children and their families faces whilst supporting the local community. Here is a picture of the CEO of Oz Trampolines and his children, as well as the lucky competition winner Lexy. 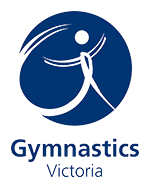 Oz Trampolines is also dedicated to sharing the joy of trampolining across the world and especially to those children most in need. A percentage of all profits from every trampoline sold goes to donating and installing trampolines into orphanages across the world. The pictures below show the smiles and laughter that a trampoline can bring to children. In 2013, together with Go! Cambodia we were able to donate a trampoline to a local children’s home. The smiles on these kids faces really sums it up. 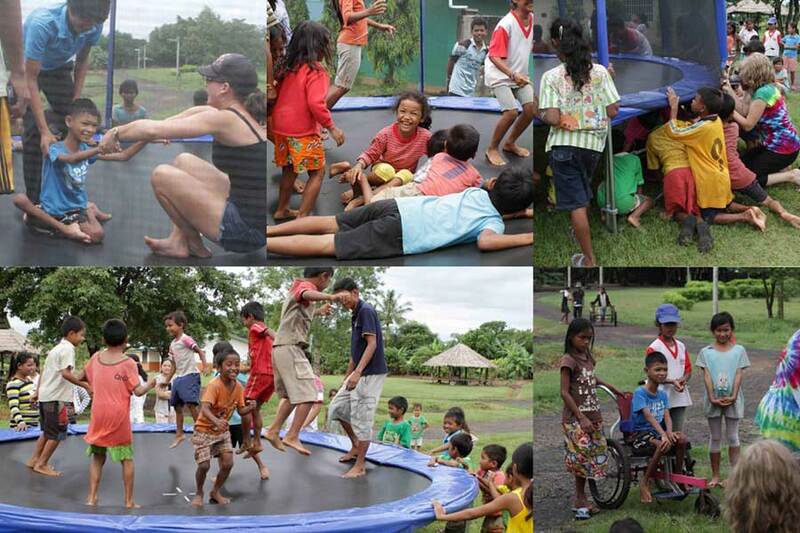 Oz Trampolines also worked along-side the Bali Children’s Foundation. 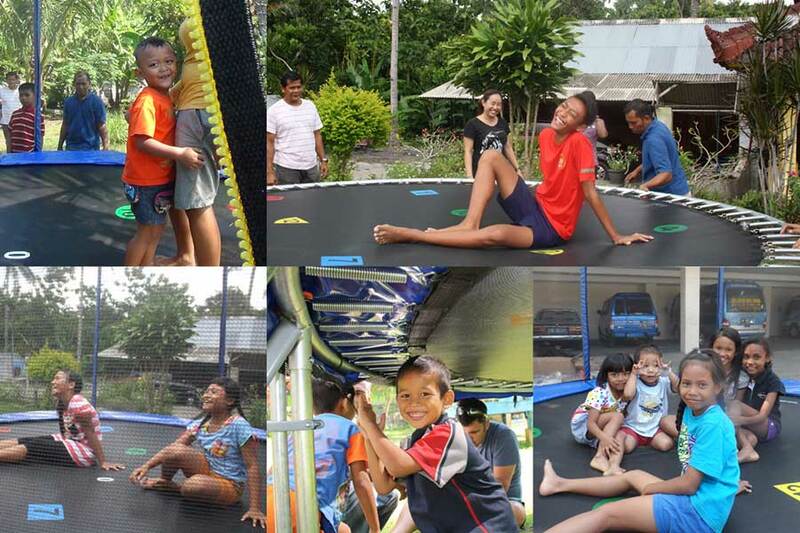 Between 2014-2015 Oz Trampolines were fortunate enough to donate 11 trampolines to children’s homes throughout Bali. Oz Trampolines thanks all of its loyal customers. Without your purchases these children would never be able to experience the same joy your children have when jumping on their Oz Trampoline.